Yes, I'm a Pepper. Although I'm not a big fan of soft drinks, Dr Pepper is my favorite. It's especially refreshing after a mountain hike on a hot day. So, exactly what is Dr Pepper? Unfortunately, that's not an easy question to answer. But that list is too generic to be illuminating. It's common knowledge that the Coca-Cola recipe is a big secret. (However that fact has not prevented the good folks at Pepsi from crafting a cola beverage that's tasty in its own right.) It will come as a surprise to many people that the full list of Dr Pepper ingredients is also shrouded in secrecy. Charles Alderton created Dr Pepper in Waco, Texas in 1885, shortly before Coca Cola came out. It contains 23 flavors that were readily available at the soda fountain in the pharmacy where he worked. Since then, Dr Pepper has had a colorful corporate history. At one time, Dr Pepper subbed out some of the bottling to two of its soft drink rivals: Coke and Pepsi. Coca Cola has tried to knock off Dr Pepper with its very own Mr Pibb. These days, Dr Pepper shares a corporate umbrella with Snapple and 7 Up. If you live in England, or in certain parts of Texas, or if you order it online, you can purchase Dr Pepper that's made with 'real sugar'. These days, most Dr Pepper is made with High-Fructose Corn Syrup, as are most soft drinks in the U.S. The real-sugar variation is considerably more expensive in the U.S.
Is there a substantial taste difference between the two versions? Some Dr Pepper aficionados claim that there is. However I don't have the patience to order the real-sugar version and to conduct a side-by-side taste test with the HFCS version. 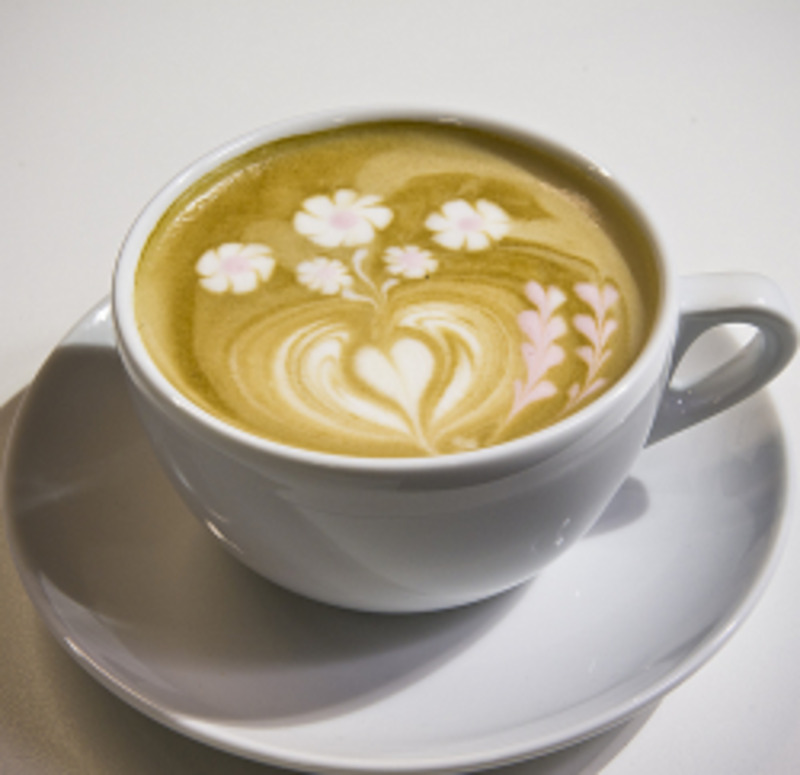 What is your favorite type of caffeinated soft drink? One rumor that's been making the rounds for many decades is that Dr Pepper is essentially carbonated prune juice. However that urban legend has been debunked. "Cherry Vanilla Dr Pepper (began 2004) was released in some areas on October 15, 2004. 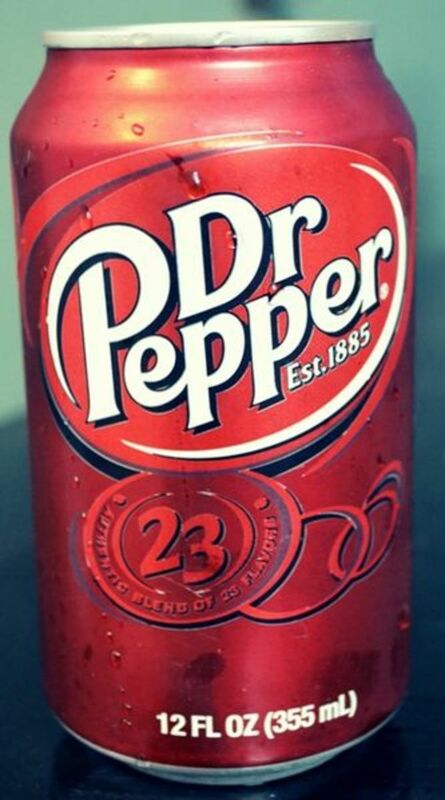 The beverage tastes similar to Dr Pepper but has stronger cherry and vanilla flavors added." So what? 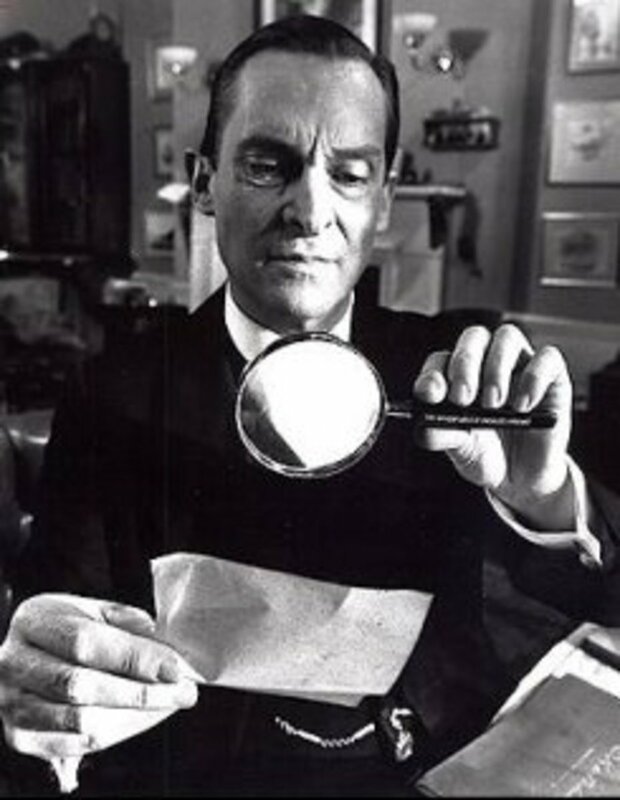 Why it's elementary, my dear Watson. The word "stronger" in the above quote suggests that Dr Pepper contains cherry and vanilla flavors. William Poundstone, author of the Big Secrets series of books, says that Dr Pepper also contains lactic acid. In sauerkraut and yogurt, friendly bacteria synthesize lactic acid. 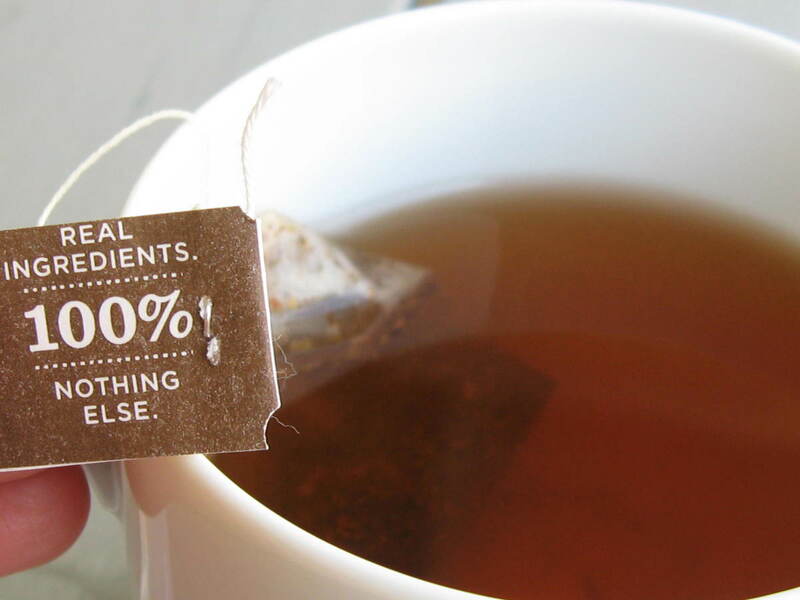 This contributes a special tart and tangy taste. I think that the claims of Wikipedia and of Poundstone are accurate, because I can taste all three ingredients. Some additional guesses on my part: benzaldehyde (essence of almond extract), orange flavor, and tea. Yes, Dr Pepper contains tea. According to my better-than-average sense of taste, it's there. And that insight about the tea is my primary contribution to Pepperology. If it turns out that I'm right, remember that you read it here first. 'Detective Larry' is not the first to weigh in on this heady subject. Here's another list of putative ingredients. And unlike mine, it does have a full 23 items. However I can't identify most of them as taste components of this fine beverage. I don't take this list and other published comprehensive lists too seriously. For example, prune and plum are both listed as ingredients. Notwithstanding the debunking about prune juice rumor at snopes.com, there's another small problem. A prune is a dried plum. Listing both as independent ingredients is redundant, and doesn't exactly inspire confidence in the accuracy of the list as a whole. 'Diet' Dr Pepper is a different ball of wax. Here's a link to my hub about Aspartame, an artificial sweetener that commonly used in 'diet' sodas. Here's the funniest inaccurate Dr Pepper comment I've seen. "I used to work at DR Pepper. Let me tell you a little secret: There are only 22 flavors until the janitors add their own flavor late at night... I don’t recommend drinking Dr pepper warm." Here's an internationally famous recipe for Dr Pepper Ham! And let's not forget about Dr Pepper barbecue sauce! 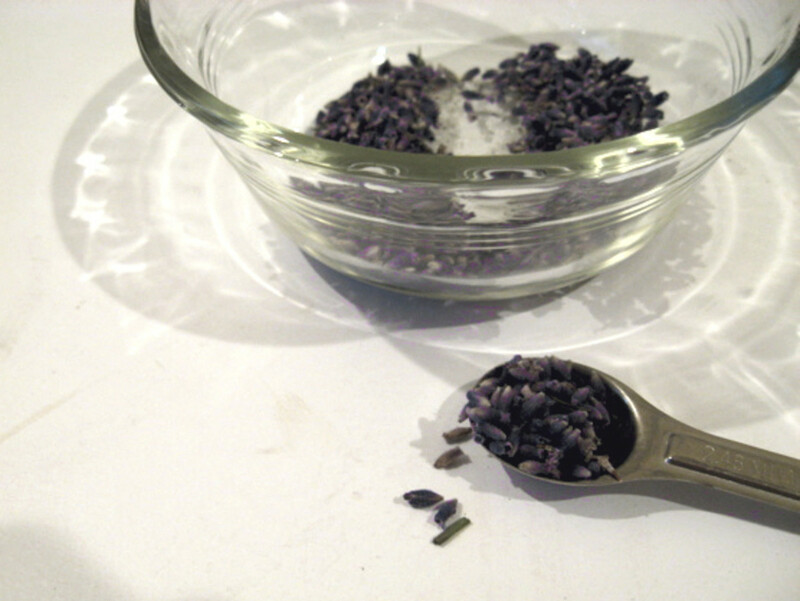 Cooking With Culinary Lavender: What Does Lavender Taste Like? Sorry for taking so long to get back with you. Health issues and a computer problem. Your thoughtful comment sent me scurrying to wikipedia. You were right. ". . . a prune is not always a dried plum" However MOST prunes -- dried and otherwise -- are European Plums. And shaped round the prune tree had elongated fruit and when ripe was still a bit tart. As for Dr Pepper I love it and I don't get gassy from it which tells me no prunes. Yes, Larry, that was soooooo bad, but sooooo funny! lol! Hi JamaGenee. Thanks for stopping by. Being an inveterate punster, I feel the need to comment on the Pepsi vs Coke controversy, to which you alluded. If I conducted a side-by-side taste test, I might be able to distinguish between the two, but I don't drink cola very often. And any remembered difference between Pepsi and Coke would be a FIGment of my imagination. Oh, bad Larry! Had I known about the sugar vs HFSC thing, I would've been slurping Dr. Pepper when I was in England instead of Fanta's wonderful lemonade that isn't available in the U.S. (due to the necessity of real sugar, perhaps?). Seriously though, there are people, like yours truly, who have nasty food sensitivities. It would be nice if food and beverage makers were more forthcoming about gluten and other 'trigger ingredients'. Fascinating trip into soft drink history. Secret ingredients: do we trust these guys? Thanks, gradeAmerican. I've never tried Mr Pibb, and was not aware of this fact. i actually think that what most people think is prune is actually fig, a common tree here in texas. but mr. pibb DEFINITELY has prune juice in it, u taste it when u burp.